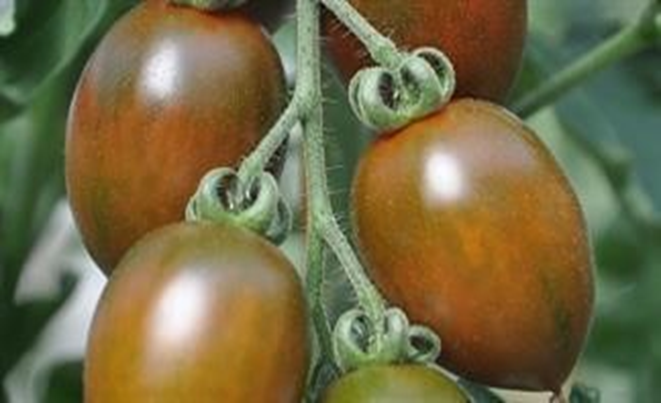 Cherry tomato | Shneor Seed Co.
Indeterminate hybrid F1 Cherry tomato. Plants are early in maturity and tall. Fruits are medium sized and weight 15-25 gr. Fruit shape is oval oblong. Very firm tomato with very good shelf life. 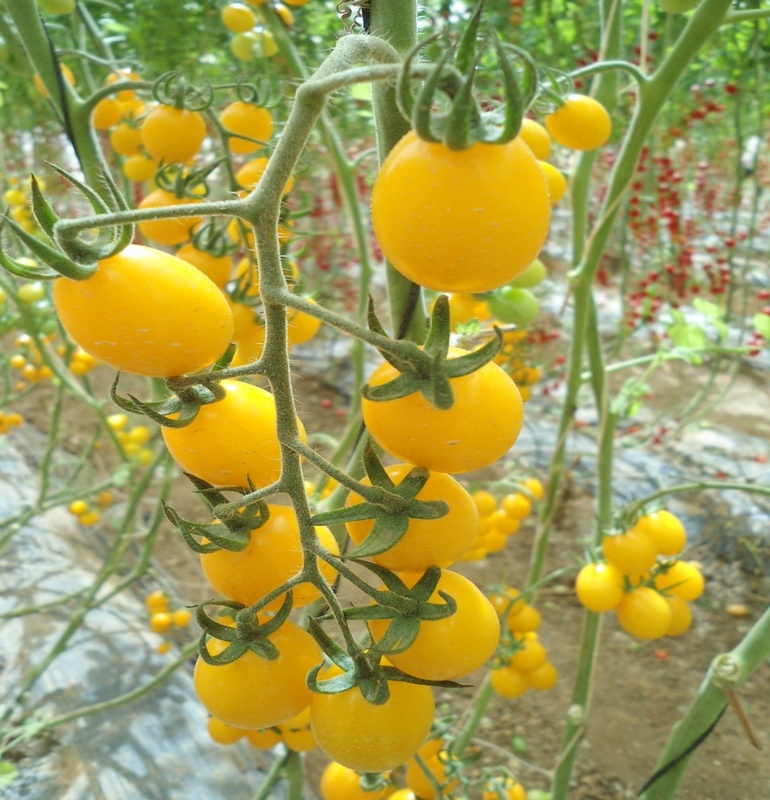 This tomato has excellent taste and attractive pink color. Plants are very productive. Early-medium in maturity. Fruit is oblong (grape shaped), with brilliant orange color, and uniform. Tolerant to cracking and weights 15-20 gr. Flesh is juicy with an excellent sweet taste. 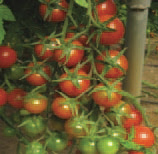 Plant is tolerant to leaf spot and virus diseases. 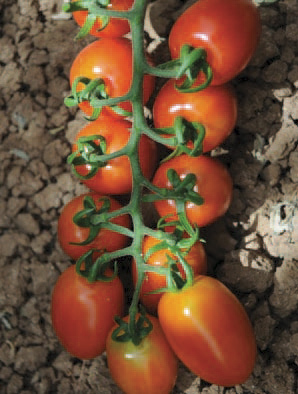 Determinate hybrid F1 Cherry tomato. Plants are determinate, dwarf, vigorous, and can grow with minimum care. Fruits are small, averaging 15 gr. 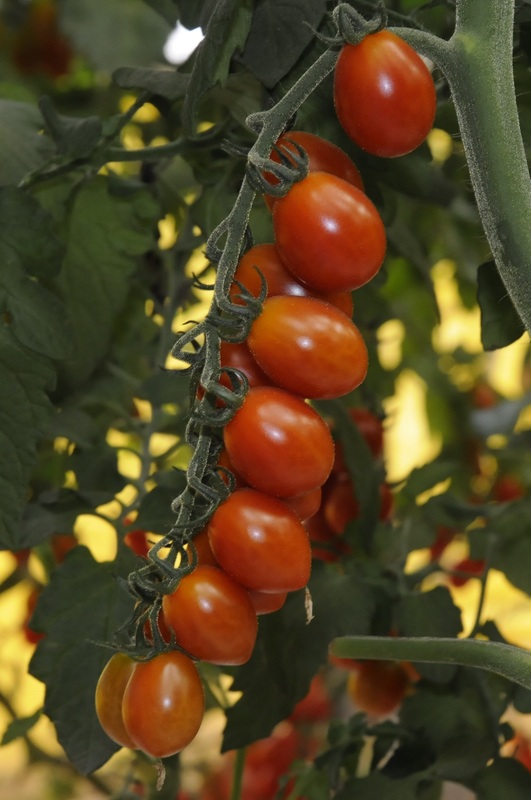 Fruits are uniform red and slightly oval shaped, and have long shelf life. Tolerant to heat and humidity. Type: Indeterminate. For greenhouse or outdoor cultivation. Early-medium maturity. Fruit weight: 15-25 gr. Fruit shape and color : grape shape, yellow color. Resistances: Ve, F1, F2, TMV. Productive plants. The plant is vigorous with good leaf covering and very early cycle. 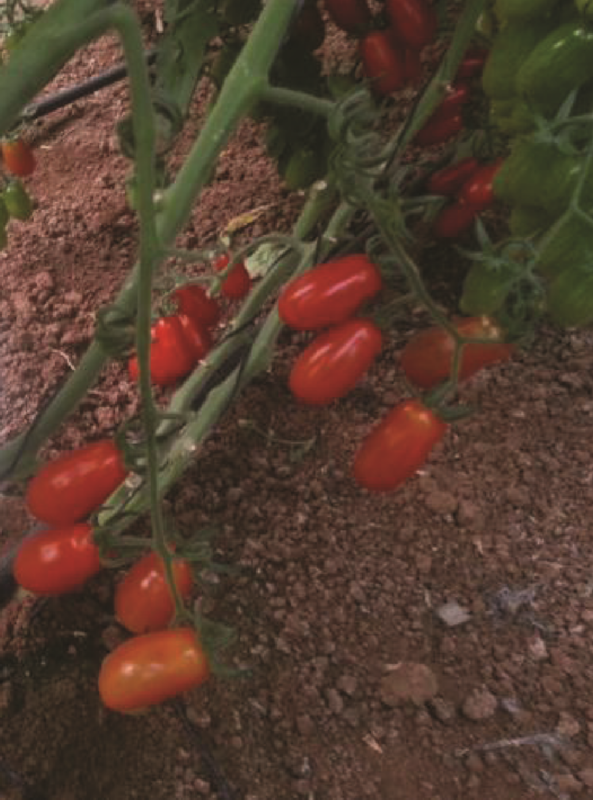 High resistance (HR) to Verticillium dahliae (Vd), Fusarium (Fol 1 ,2), and tomato mosaic virus (ToMV). 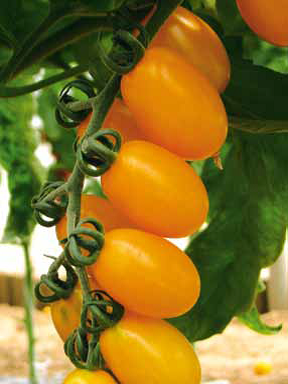 Fruit color: yellow color at full ripening. Pear- cylindrical with uniform size: 40-45 mm long with diameter of 25 mm and average weight of 18-22 gr. It produces regular clusters. Characteristics: sweet flavour, Brix 8-9 and lack of acidity. 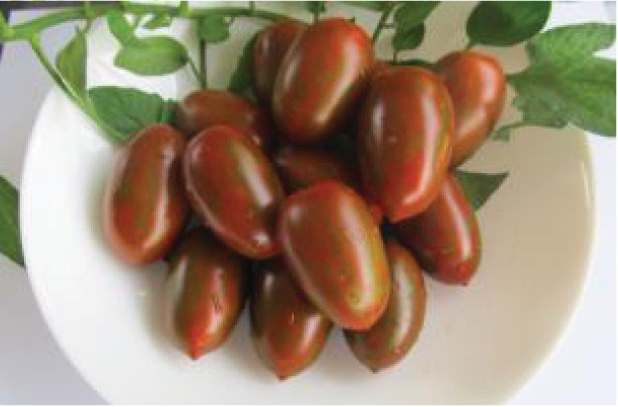 Type: indeterminate, red color, heat ripening, cluster, productive, standard maturity, solid, long shelf life. No shoulders, no rin/nor. Fruit shape & size: round and big. Resistances: TMV, F2, Ne, TY, V.
Type: Indeterminate. Fruit color: red. Vigorous and very productive plant. Early maturity. Resistance: TYLCV. 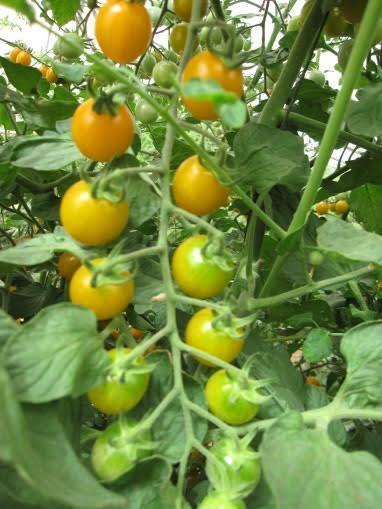 Plant type: indeterminate, however suitable for greenhouse and open field. Fruit weight: 15-20 gr. Uniform brilliant red color. Disease resistances: V, F1, F2, F3, TYLCV, TMV, Nematode. 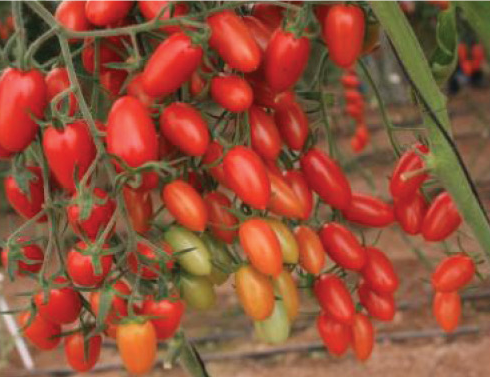 Tolerant to cracking, highly productive plant, long shelf life, suitable for storage and shipping. Hybrid F1, Single Round Tomato. 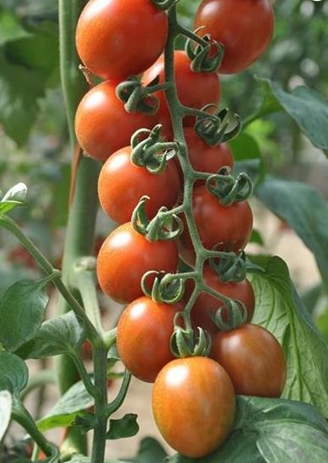 Plant type indeterminate .Fruit weight: 15-20 gr. 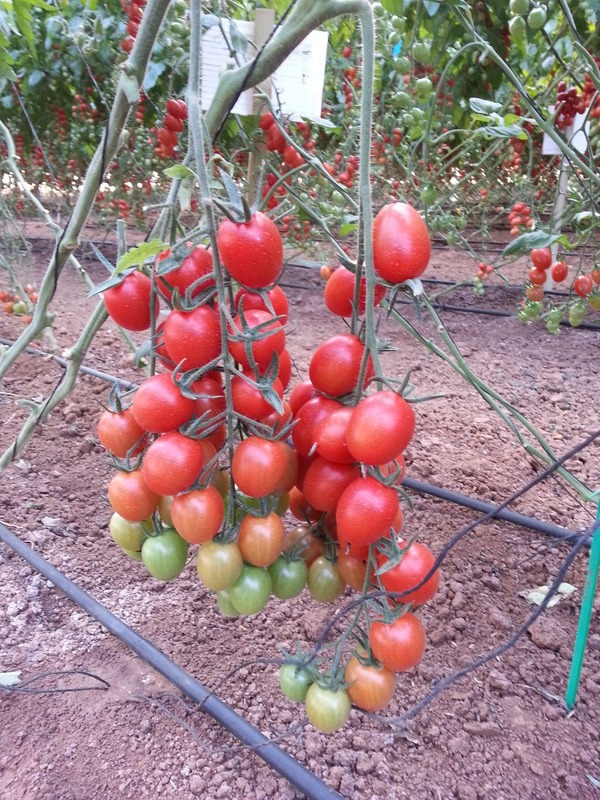 Fruit shape: globe to deep globe,uniform brilliant red color.Disease resistance: V, F1, F2, F3, TYLCV,TMV, Nematode. 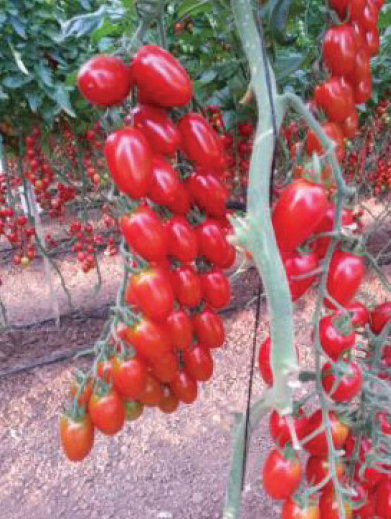 tolerant to cracking.Highly productive plant, long shelf life,suitable for storage and shipping. Indeterminate type. 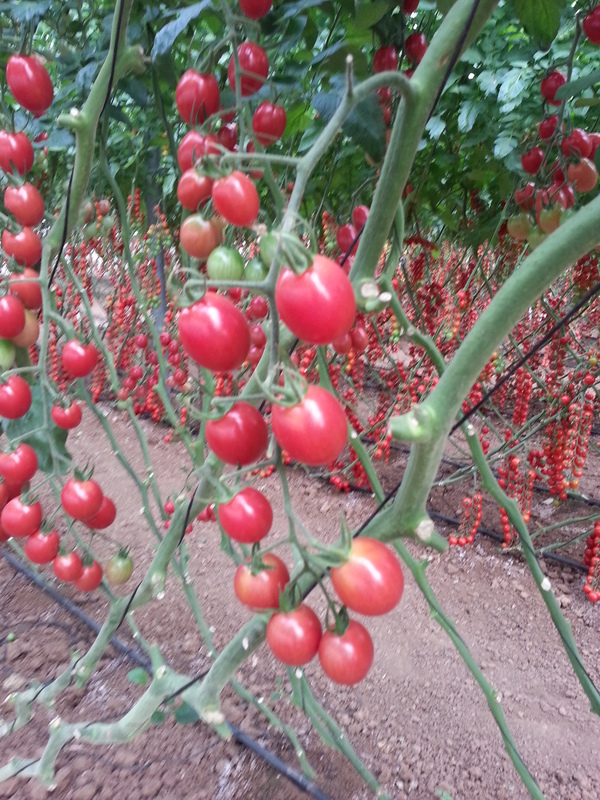 Strong and vigorous plant, productive, excellent taste. Fruit shape & color: grape, chocolate zebra. Fruit weight: 10-20 gr. Resistance: TMV. Indeterminate type, solid, no shoulders, no rin/nor, no cluster. Full leaf cover, productive. Long shelf life. Standard maturity, medium size. Fruit shape: grape. Fruit color: zebra, plant height: medium. Resistances: TMV, V, NE. Type: indeterminate. Strong and vigorous plant. Oblong grape shape. 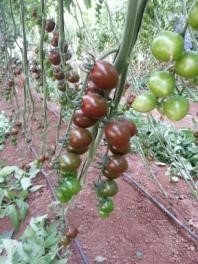 Fruit color: attractive deep red color. Approximate fruit size: 15 gr. 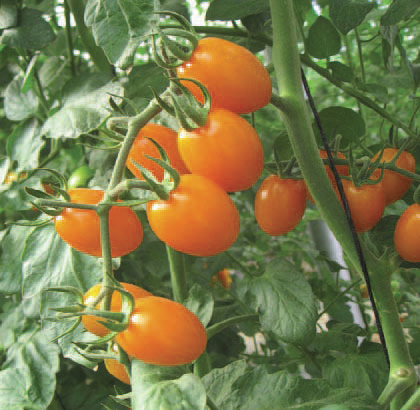 Resistances: HR: V,Fol0-2,ToMV, Pto IR: N,TSWV,TLYCV Extremely adaptable for various growing conditions. Taste: very sweet Fruit with long shelf life. 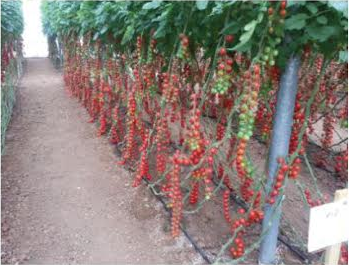 Plant type indeterminate,suitable for cluster.Fruit weight:15-20 gr. grape shaped with uniform brilliant red color. Disease resistance :V, F1, F2, TMV, TYLCV,Nematode. 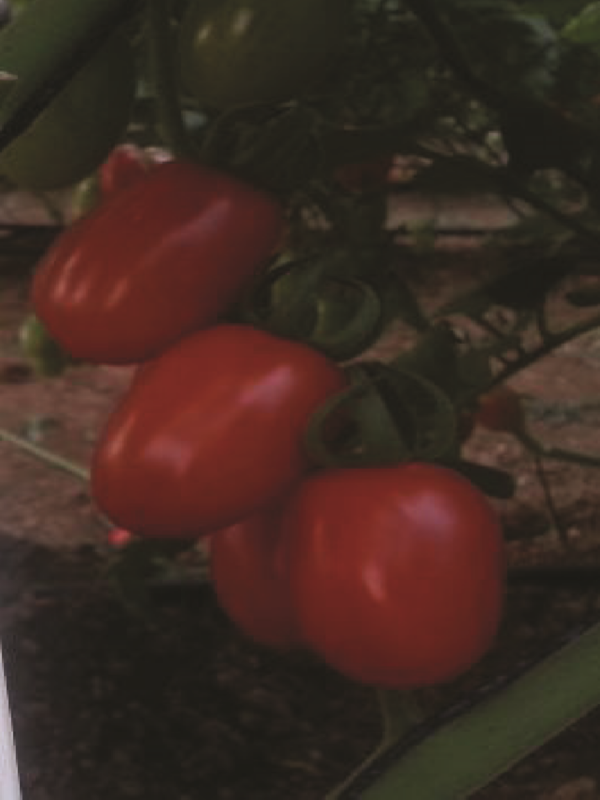 tolerant to cracking and leaf spot.Very productive plant, flesh is juicy with an excellent sweet taste. 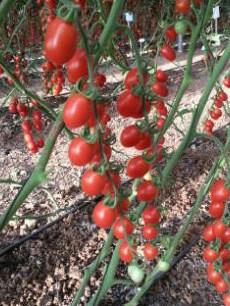 Cherry plum tomato. For greenhouse and outdoor cultivation. Indeterminate type. Fruit color: brown-zebra. Weight: 15-20 gr. Resistances: Vd, Fol:0, ToMV. 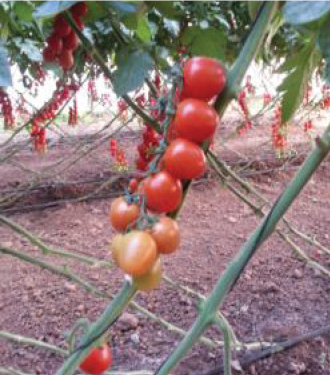 Indeterminate type, on the vine, excellent taste, high yield, vigorous plant, for long cycle. Fruit weight: 15-20 gr. Size: 34 mm. Brix: 8-10. XL shelf life. Resistances: Fol:0, ToMV, Mj. Indeterminate type. 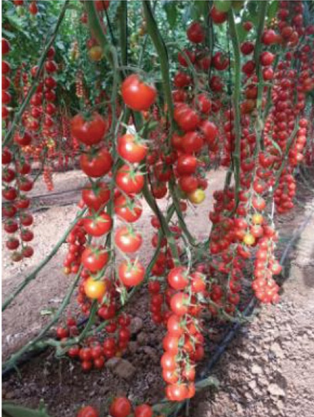 Strong and vigorous plant, very productive, good shelf life, good for storage. Fruit color: red. Weight: 10-20 gr. Resistances: TYLCV, TMV, TSWV. Indeterminate type. Vigorous plant, productive, very good taste. Fruit color: red. Fruit weight: 10-20 gr. Resistances: TYLCV, TMV, NE, VE, F2, For. 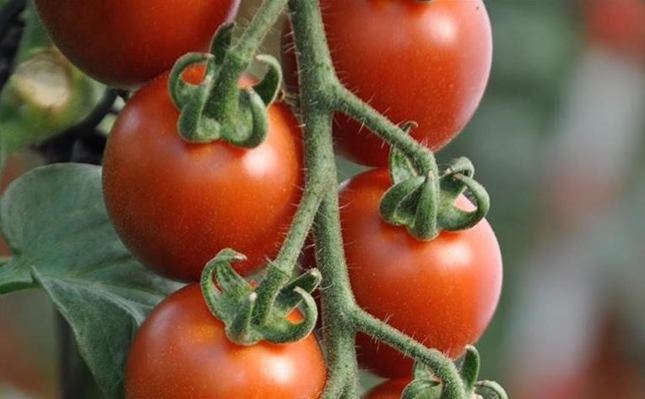 Indeterminate type, vigorous plant, good shelf life, excellent taste. Fruit color: red. Weight: 15-25 gr . Resistances: TYLCV, TMV. Fruit color: red. Weight: 30-40 gr. Resistances: TYLCV, TMV, NE, VE, F2. Vigorous plant, very productive, very good taste. 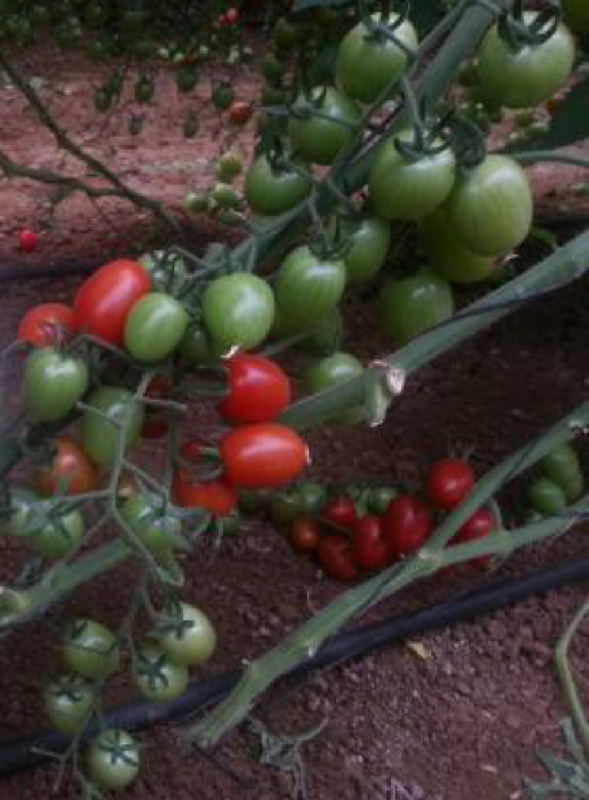 Cherry Grape tomato, Indeterminate, Mini cane less type. Fruit color: red. Weight: 10-20 gr. Resistances: TYLCV, TMV, NE, VE, F2. 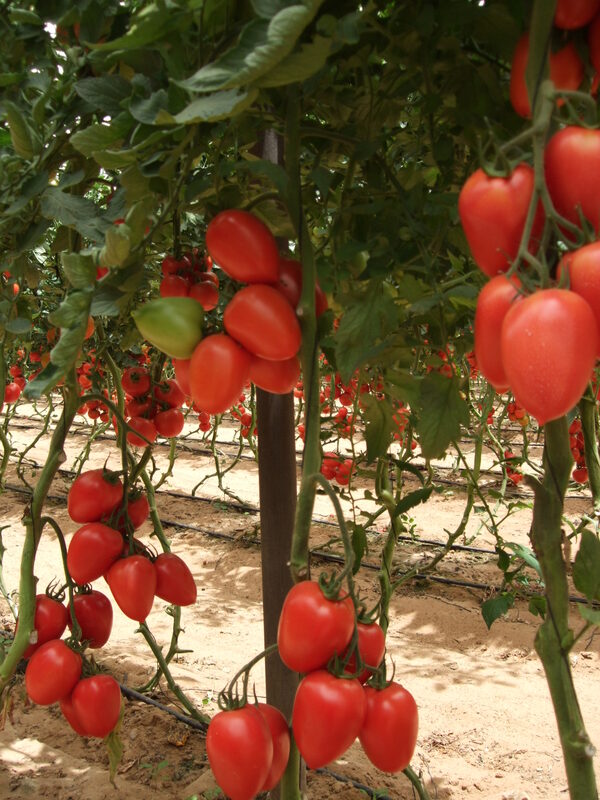 Strong and vigorous plant, productive, good shelf life. Indeterminate type, for cluster. 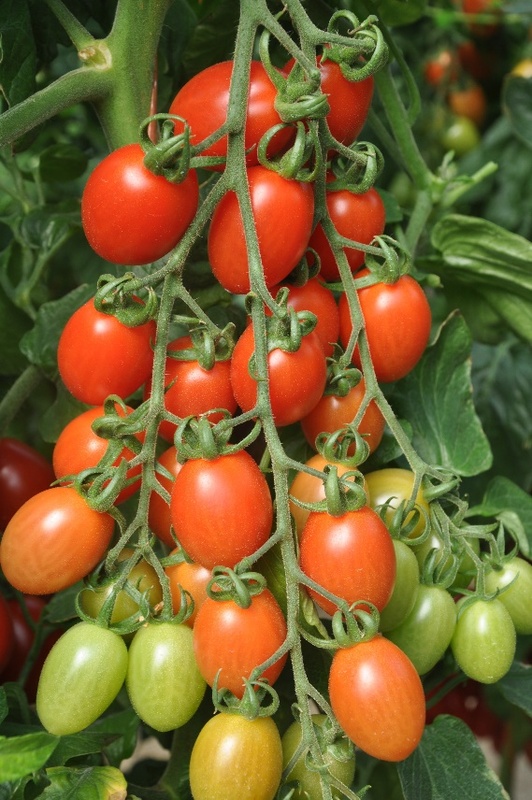 Vigorous plant, productive, green shoulders, good taste. Fruit color: red. Fruit weight: 10-20 gr. Resistances: TYLCV, TMV, NE, VE, F2, F3. 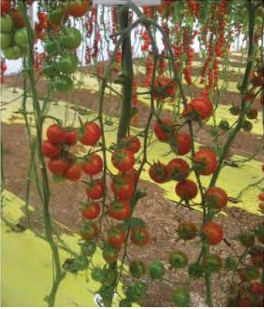 Indeterminate type, vigorous plant, productive, very good taste. Fruit color: red. Weight: 15-25 gr. Resistances: TYLCV, TMV, NE, F2. Type: indeterminate. Tall plant, short grape fruit shape, full leaf cover. 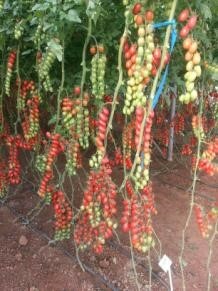 Very productive, standard maturity, long shelf life. Medium fruit size. Fruit color: red. Resistances: TY3, TY, tmv, f2, NE, V.
Type: Indeterminate. 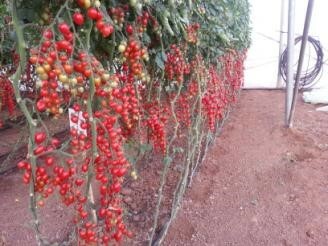 Strong and vigorous plant Very productive, good shelf life, compact plant. Fruit color: red. Weight: 10-20 gr. Resistances: TYLCV, TMV, NE,VE,F2,F3. Early- medium maturity. 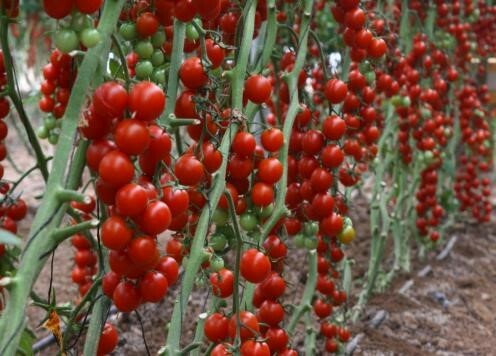 highly productive plant, for greenhouse. fruit shape is globe to deep globe, weights 15-20 gr. Fruit has excallent taste. It is very firm and has very long shelf life. Fruit is easy to pick, crack resistant, and suitable for storage and shipping. Resistant: V, F1, F2, TMV and Nematode. Type: indeterminate. Early-medium maturity, very productive plants. Its flesh is juicy with an excellent sweet taste. Very good shelf life. Fruit weight: 15-20 gr. Fruit shape & color: Oblong ° grape, uniform, brilliant red, green shoulder. Resistances: TYLCV, TMV.